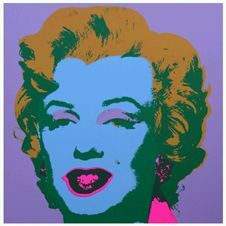 Andy Warhol (civil name Andrew Warhola) was born in 1928 in Pittsburgh and died in 1987 in New York, NY. 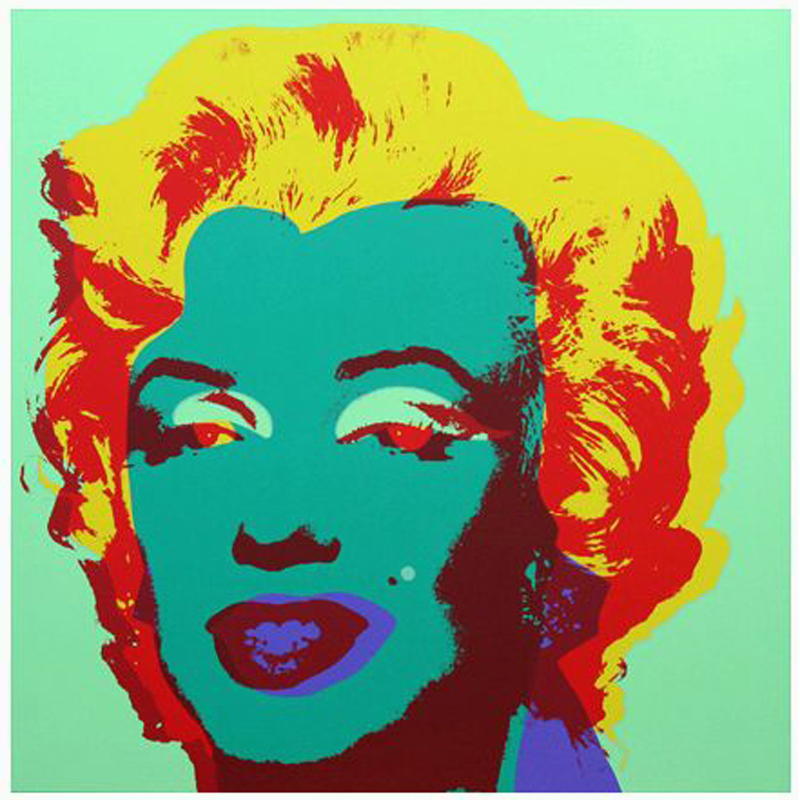 He left an extensive oeuvre of commercial art, paintings, films and books. 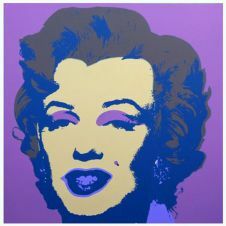 In August 1962, Andy Warhol was experimenting with screenprinting. “I wanted something stronger that gave more of an assembly line effect. 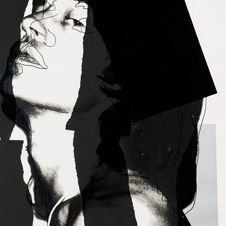 With silkscreening you pick a photograph, blow it up, transfer it in glue onto silk, and then roll ink across it so the ink goes through the silk but not through the glue. That way you get the same image, slightly different each time. It was all so simple quick and chancy. I was thrilled with it. 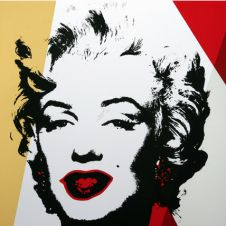 When Marilyn Monroe happened to die that month, I got the idea to make screens of her beautiful face the first Marilyns”. 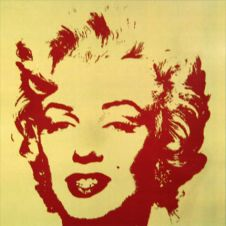 For his screenprinting, Warhol used an image shot by Gene Korman for the film Niagara, made in 1953. This motiv was continued by Sunday B. Morning Editions. 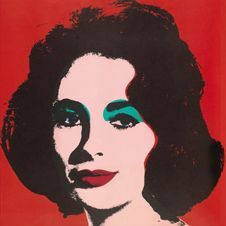 The prints where produced as color screenprints on museum board in the traditional way and pristine quality. stamped on the back "fill in your own signature"